You can experience this amazing National Geographic-like underwater adventure in a virtual reality film by Carnegie Mellon University’s Ralph Vituccio and Jaehee Cho. “Haenyeo” is now playing on demand at the Askwith Kenner Global Languages and Cultures Room in the Tepper School of Business. Vituccio, an associate teaching professor in the Entertainment Technology Center, and Cho, a 2016 ETC alumnus, produced the six-minute documentary after their idea was selected by the Google-Tribeca Film Festival’s “5 Elements of Nature” Immersive Film Program. Vituccio and Cho, one of five teams selected, received $50,000 and a virtual reality “Google Jump” camera to shoot the film. It will be shown in the Tribeca Film Festival, April 24 – May 5 in New York City. The project was personal for Cho, who was born and raised in Seoul and earned his bachelor’s degree at the Seoul Institute of the Arts. 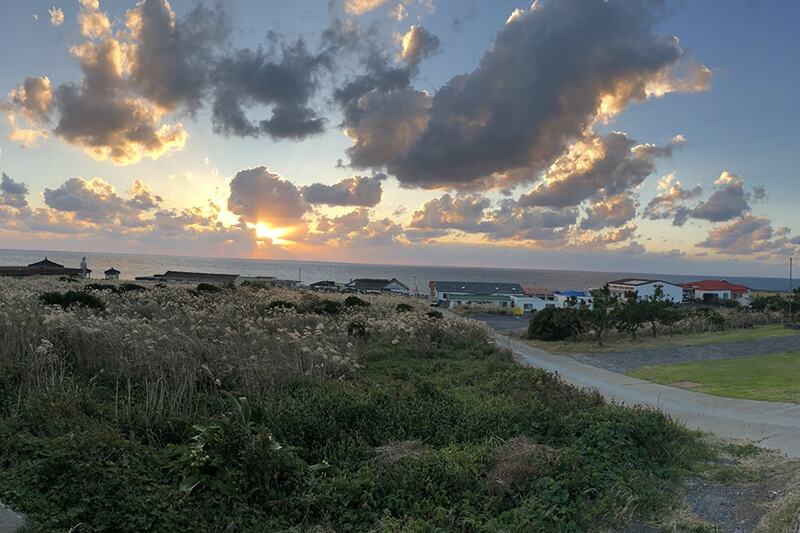 Cho and Vituccio spent nine days with the Haenyeo on the islands of JeJu and Marado. They hired photographers and videographers, a professional diver from National Geographic and an underwater virtual reality rig. They gathered hours of footage. 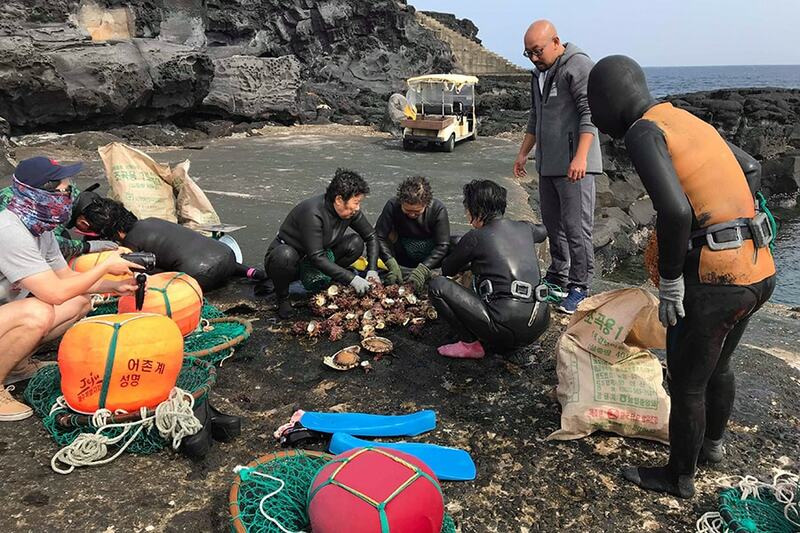 Holding their breath for about three to five minutes at a time, the women wear wet suits, flippers, a mask and gloves, and dive under the cold and rough waters of the three adjacent seas — the East China Sea, Yellow Sea and East Sea — to hunt for sea shells, oysters, octopus, fish and abalone, a South Korean delicacy. “They sell what they catch. They get $300 for one abalone. That’s how they make their living. They call the sea their farm,” Vituccio said. Vituccio and Cho said it took a while for the Haenyeo to feel comfortable during the filming. 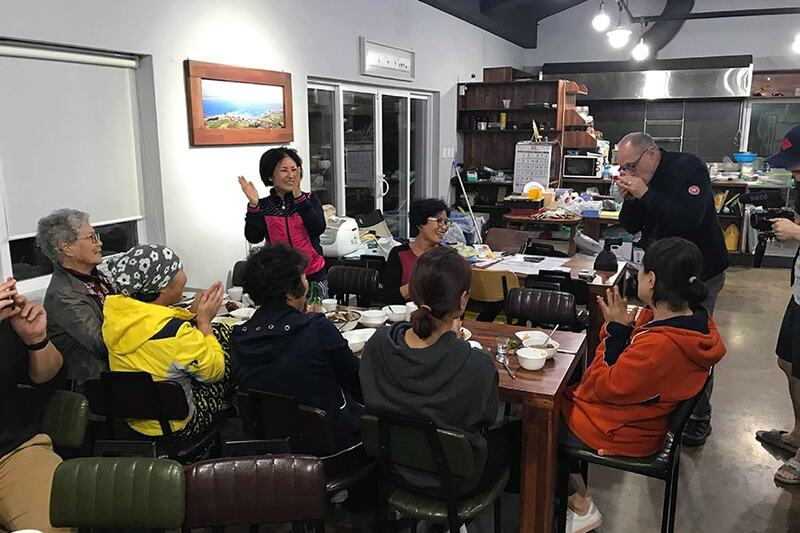 They said the women were skeptical at first, because of their bad experiences with film crews after they were recognized as a UNESCO Intangible Cultural Heritage in 2017. Vituccio and Cho have worked together before. Vituccio was Cho’s faculty advisor on “Injustice,” an award-wining virtual reality racial profiling video he created at the ETC. They also traveled to Poland to produce a virtual reality documentary about the Holocaust. “Journey Through the Camps, ” which has been accepted into the New York City Independent Film Festival in May, can be viewed at the Kenner Room as well. Having produced about a half dozen documentaries, including the award-winning “Shipbreakers” with the late Professor Paul Goodman, Vituccio is CMU’s resident documentarian. “I love the idea of travel. I love the idea of immersing myself into another culture and documenting it. I’ve always wanted to do it,” he said. 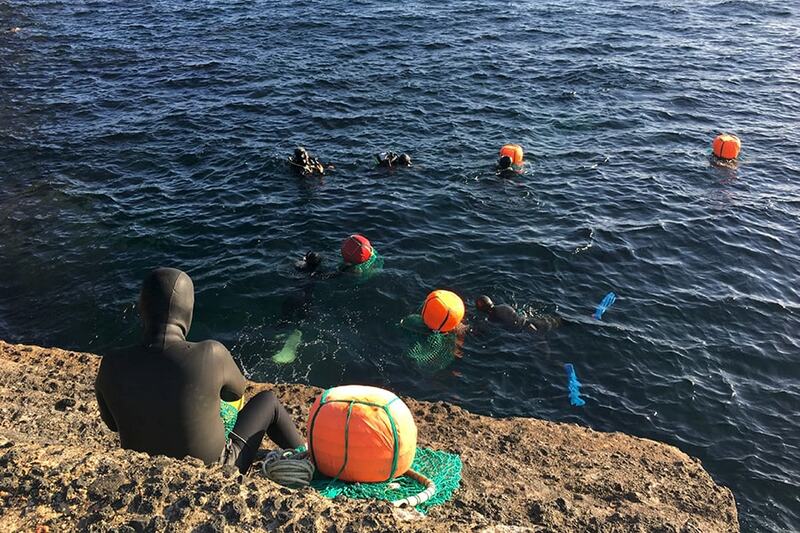 Holding their breath for about three to five minutes at a time, the South Korean Haenyeo dive under the sea to hunt for sea shells, oysters, octopus, fish and abalone, a native delicacy. “Haenyeo” and “Journey Through the Camps” can be viewed at the Askwith Kenner Global Languages and Cultures Room in the Tepper School building. Hours are 3 – 6 p.m., Tuesday, Wednesday and Thursday. You can also schedule an appointment by sending email to ML-KennerGlobal@andrew.cmu.edu. The Haenyeo dive under the sea without oxygen tanks to hunt for sea shells, oysters, octopus, fish and abalone, a South Korean delicacy. The Haenyeo survey their catch. Ralph Vituccio (far right) plays his harmonica after dinner with the Haenyeo. 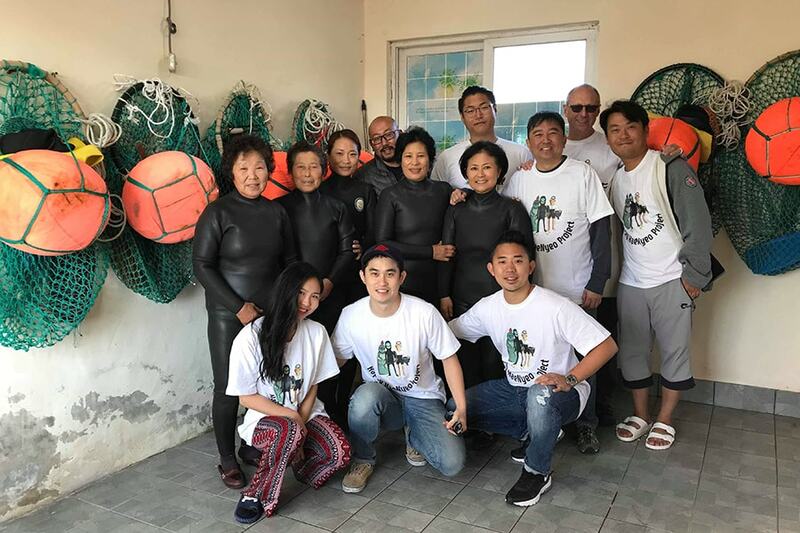 Jaehee Cho (bottom right) and Ralph Vituccio (top right in sunglasses) pose for a group shot with the Haenyeo and members of the film crew. Jeju Island, off the coast of South Korea.